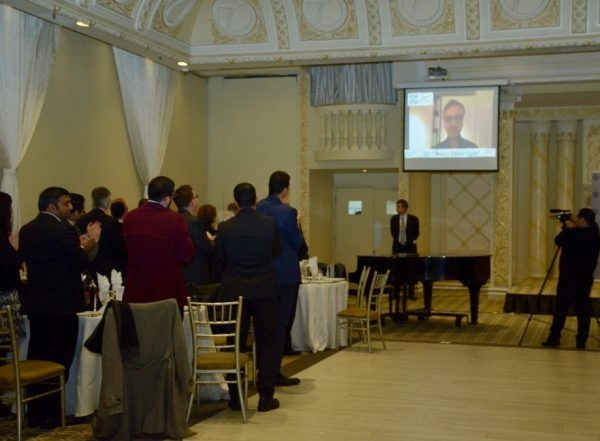 December 10, 2017 – Toronto, Canada: The International Center for Human Rights in Canada (ICHR) announced today that Professor Payam Akhavan is the recipient of ICHR Prestigious Human Rights Award this year for his significant contribution to improvement of human rights situation in Iran and Middle East. ICHR presents its award around December 10, the Universal Human Rights Day. 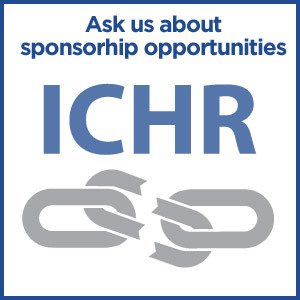 According to ICHR’s decision making committee, Professor Akhavan has made a significant contribution to advancing and protecting human rights in Iran and middle-eastern countries. Other final candidates were; Narges Mohammadi, Iranian human rights activist, Muharrem Erbey, Turkish human rights Lawyer and Writer, and Mohamed Ramadan, Egyptian human rights lawyer. The ICHR Human Rights Award presented to his parent on his behalf by the Hon. Reza Moridi and Ardeshir Zarezadeh on Sunday December 03, 2017 at ICHR Award Ceremony event in Toronto. At the event, the Hon. Tony Clement and Mr. James Bezan, members of Canadian Parliament, and activists from Middle Eastern background spoke on the grave human rights abuses in the region. Mr. James Bezan, member of parliament, received ICHR recognition award for fighting for human rights in Middle East and around the globe. ICHR recognizes the achievements of human rights defender every year and continues to protect activists in Middle East as it believes their fight for freedom and human rights is key to establishment of a democratic society. Payam Akhavan is Professor of International Law at McGill University in Montreal. In 1994, while still in his 20s, he became the first Legal Advisor to the Prosecutor’s Office of the International Criminal Tribunal for the former Yugoslavia at The Hague, the first UN court established by the Security Council to prosecute perpetrators of genocide. In that capacity, he played a key role in the historic trials that would bring the leaders responsible for “ethnic cleansing” to justice. He also served with the UN in Bosnia, Croatia, Cambodia, Guatemala, Rwanda, and Timor-Leste, where he helped investigate atrocities, and witnessed first-hand some of the worst mass-murders of recent history. Professor Akhavan has appeared as legal counsel and advocate in leading cases before the International Court of Justice, the International Criminal Court, the European Court of Human Rights, and the Supreme Courts of Canada and the United States. In 2016, he was appointed a Member of the International Court of Arbitration. Professor Akhavan is a Co-Founder of the Iran Human Rights Documentation Centre, served as Prosecutor of the Iran Tribunal looking into the mass-executions of political prisoners during the 1980s, was a member of the UK Child Sexual Abuse People’s Tribunal, Chairman of the Global Conference on Prevention of Genocide, Co-Producer of the documentary film “Genos.Cide: The Great Challenge”, and contributed to other documentary films including “The Green Wave” and “Iranian Revolutionary Justice”. His human rights work has been featured in the New York Times, Maclean’s magazine, the Toronto Star, BBC World’s HardTalk, CBC Radio Ideas, and in 2005 he was selected by the World Economic Forum as a Young Global Leader. In 2017, he was selected to deliver the CBC Massey Lectures. His book “In Search of a Better World: A Human Rights Odyssey” became a #1 non-fiction bestseller in Canada.